News and Events Archives - Dr. Jeff Stickney, M.D. Should You Consider Partial Knee Replacement? A partial knee replacement, also known as unicompartmental knee arthroplasty (UKA), can be a very appealing alternative to a total knee replacement for those suffering from severe knee pain. UKA is less-invasive, more cost-effective, promises the preservation of important bone, ligaments, and knee function, and provides an enhanced postoperative recovery. But is it for the right procedure for you? The Medial Unicompartmental Arthroplasty of the Knee article by Jennings, J. M., Kleeman-Forsthuber, L. T., and Bolognesi, M. P. takes a closer look. In years past, isolated anteromedial osteoarthritis or spontaneous osteonecrosis of the knee were the only primary indications for partial knee replacement. Patients needed to be under age 60, less than 180 pounds, avoiding heavy labor, and experiencing minimal baseline pain, among other restrictions, which left only 6% of patients meeting all parameters. Over the last two decades, however, studies have shown that the traditional indications for UKA can be expanded significantly with excellent results still obtained. Focused preoperative examination and imaging are needed to identify appropriate surgical candidates, but once selected, patients who undergo UKA experience faster recovery, improved kinematics, and better functional outcomes compared with total knee replacement, also known as total knee arthroplasty (TKA). What’s more, the ten-year survival rates for partial knee replacement in cohort studies have shown to be greater than 90% with outcomes after conversion to total knee replacement being very similar to outcomes for revision TKA. While this information is encouraging, survivorship data should continue to be scrutinized and take both patient factors and functional outcomes into careful consideration. As more long-term data on partial knee replacement becomes available, it will further guide clinicians in counseling patients on whether UKA is the right procedure for them. When performed at high-volume centers with advanced surgical techniques and on the correct patient populations, partial knee replacement has the potential to be a great alternative to total knee replacement. If you want to learn more and discuss whether or not UKA is the right procedure for you, please contact our office. We’ll help you return to your health, pain-free lifestyle. 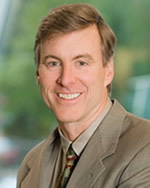 Dr. Stickney, a Kirkland orthopedic surgeon, is an expert in total and partial knee arthroplasty, exercise and health, and more. Is Yoga Safe After Joint Replacement Surgery? If you’re one of the 35 million people in the US practicing yoga, you may be wondering if you can return to your practice after joint replacement surgery. Or maybe you’ve heard about the benefits of yoga and are interested in starting it up postoperatively. But is yoga safe and recommended for your new joint? Carried out with awareness of your limitations after surgery, yoga can be a very useful tool in the rehabilitation process. Physical activity, including yoga, is an important part of recovery after joint replacement surgery. It helps to restore function and mobility in your joint, ease pain and swelling, and more. Yoga, specifically, helps to strengthen the muscles surrounding your new joint, increase flexibility, reduce stress, and can help you become more aware of your body’s alignment and posture. Consult with Your Orthopedic Surgeon First. Remember, your situation is unique to you, and no one knows the condition of your new joint better than your orthopedic surgeon. Whether or not your orthopedic doctor recommends yoga can depend on how your joint replacement surgery went, how your recovery is expected to go, and what kind of restrictions you may have. For example an anterior hip replacement would allow for unrestricted yoga a few months after surgery. However a posterior approach hip replacement would require restrictions that would limit flexion poses like down dog child’s pose. It’s extremely important to consult with your orthopedic doctor before starting any type of physical activity, including yoga. Talk to Your Yoga Instructor. If your orthopedic doctor gives you the go-ahead, it’s wise to also talk with your yoga instructor(s). Qualified instructors will know about the anatomy and movement of the hip and knee. They should be able to give you advice on what poses and movements will be beneficial, and what poses and movements you may need to avoid, either permanently or just while you heal. Modifications will most likely be necessary for a safe postoperative yoga practice. Your instructor can also help you correct your alignment to stay safe and provide help with any props. Choose the Right Practice Style. Early on in the recovery, a restorative yoga class may be beneficial. Restorative yoga classes are typically slow and gentle, use a lot of helpful props, and focus on relaxation. Once you receive an okay from your orthopedic doctor to do so, any style of yoga, including Vinyasa or Bikram yoga, is possible as long as proper modifications are made to your practice. Trust Yourself. After joint replacement surgery, it’s even more important to listen to your body’s cues while practicing yoga to maintain proper alignment and protect your joint replacement. Remember, never force yourself into a pose that’s painful or feels wrong. Dr. Jeff Stickney, a Kirkland orthopedic surgeon, can help you determine whether outpatient physical therapy or home exercise is better suited for your recovery following total knee arthroplasty. He specializes in orthopedic surgeries and health care including total knee replacement, joint replacement, sports medicine, and more. Contact doctor Stickney’s office today to learn more. Outpatient physical therapy (OPT) is the practice of visiting a healthcare facility such as a clinic or office to perform exercises to treat musculoskeletal problems. This strategic physical activity with the guidance of a physical therapist is a common means of both injury prevention and recovery from sports injuries, because it helps patients address joint pain and regain range of motion. While OPT has a long history as a fundamental part of proper treatment plans for recovery and maintenance following total knee arthroplasty (TKA), recent studies have questioned the need for OPT following total knee replacement surgery. A new study, “Home Exercises vs. Outpatient Physical Therapy After Total Knee Arthroplasty: Value and Outcomes Following a Protocol Change”, explored the “health safety, efficacy, and home economics of routine home exercises following TKA compared with OPT immediately afterward”. It compared 251 patients who were prescribed OPT following TKA, and 269 who followed a home exercise program instead after their operations. Ultimately the study found that patients who practice home-directed exercise programs in place of formal OPT have seen comparable outcomes, and can even experience significantly reduced costs. They concluded that while some patients required OPT following their home exercise program, the majority did not. As the study above highlights, the use of home-healthcare following TKA is increasing. Many other publications have reported the same, claiming that supervised rehab such as OPT may not be necessary for optimal recovery following TKA. 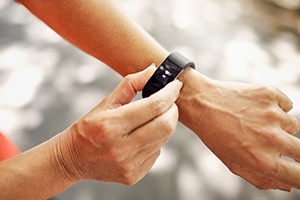 However, another recent study explored the association between physical therapy (PT) and functional improvements for patients in home settings. This study also explored factors related to PT utilization, meaning it identified the reasons patients did or did not use their home healthcare. The study found that lower home-healthcare utilization was correlated with worse recovery. Participation in home-healthcare was generally lower for patients who had the help of physical therapists from rural agencies that came to their home. Medical complexity – such as depressive symptoms or dyspnea – factored into the patients’ levels of participation too. Comparing the results of both studies, we can conclude that home exercise following TKA is effective, however it’s important that patients actually follow through on utilizing the home practice, performing the necessary amount for an optimal recovery. We can also see that those with medical complexities may need additional monitoring to verify that they perform the necessary amount of home PT sessions to achieve a complete recovery. Dr. Jeff Stickney, an orthopedic surgeon in Kirkland, is an expert in orthopedic health, modern pain management like the SwiftPath method, sports medicine, and more. Make an appointment with Dr. Stickney to learn how you can return to a pain-free lifestyle. Getting quality sleep is arguably the most crucial aspect of any daily routine, and the most impactful to your orthopedic health. Not only is it the time when your body recovers from activity or injury during the prior days, but it can also determine how your body feels in the days to come. By developing an awareness of your sleeping habits and adapting them, you can prevent waking up with back or neck pain, and set your musculoskeletal system up for pain-free success. Sleeping on your back is ideal for pain prevention because it avoids any unnatural extension of your spine, while aligning your body from head to toe. This distributes your weight more evenly than sleeping on your stomach, which can exacerbate lower back issues by placing most of your weight on your middle. Stomach sleepers also have a greater chance of a sore neck because your head is twisted to the side. If you can’t sleep unless you’re on your belly, try sleeping with no pillow or a flat one under your head, and another placed beneath your hips. Side sleepers should aim to keep their neck and spine aligned as much as possible too, and the best way to do so may be by curling both legs toward your chest and placing a pillow between your knees. This arches your back and keeps your hips aligned to prevent any strain on your lower back. Improving your flexibility and range of motion allows you to perform tasks without joint stress. Try these stretches in the morning to alleviate stiffness, or before you go to bed for a better night’s sleep. Make sure to stay within the limits of your flexibility, and perform static stretching only after a warm up or exercise to avoid injury and get the optimal benefit. Perform a standing side bend with feet shoulder-width apart, lifting your arms above your head. Move your shoulders as close to your ears as possible and clasp your hands together, as if holding onto a rope from the ceiling. Stretch your spinal cord upward, then lean gently from one side to the other, while maintaining a forward gaze and making sure you don’t lean forward or back. Try holding the stretch on each side for 3-5 breaths to stretch both sides of your body, benefitting your obliques, shoulders, hips, and spine. The forward fold involves the same stance followed by a bend at the waist, while keeping weight in your heels and allowing your neck and arms to dangle with gravity. This stretches the legs, hamstrings, and back. To target your lower back and hips, try a hip flexor stretch by lying on your back and bringing your knees to your chest. Gently pull the knee towards your shoulder while keeping your spine and the other leg flat on the floor, then repeat on the other side. By adding regular stretching and quality sleep to your daily routine, along with proper nutrition and exercise, you can rest assured that you’re on the path toward overall orthopedic health, and living your life pain-free. Contact Dr. Stickney to learn more about stretches that are safe for you to perform.